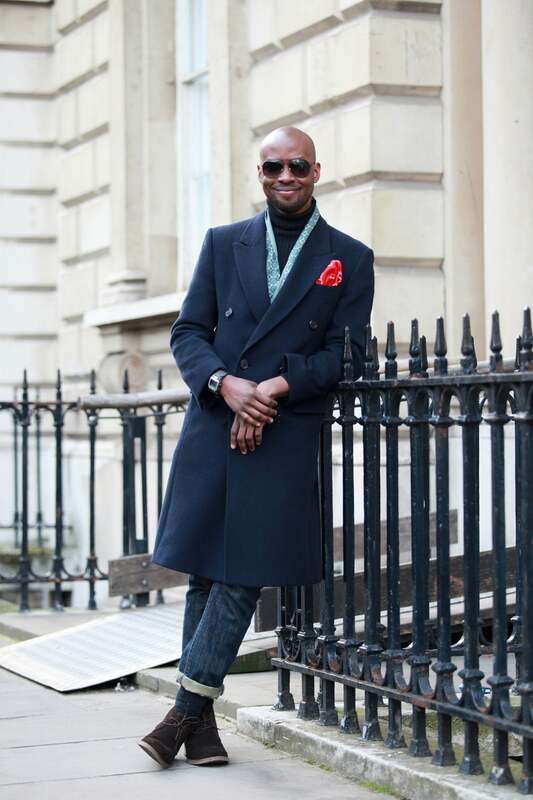 HomeLifestyleFashionAre These The World’s Best Dressed Men? 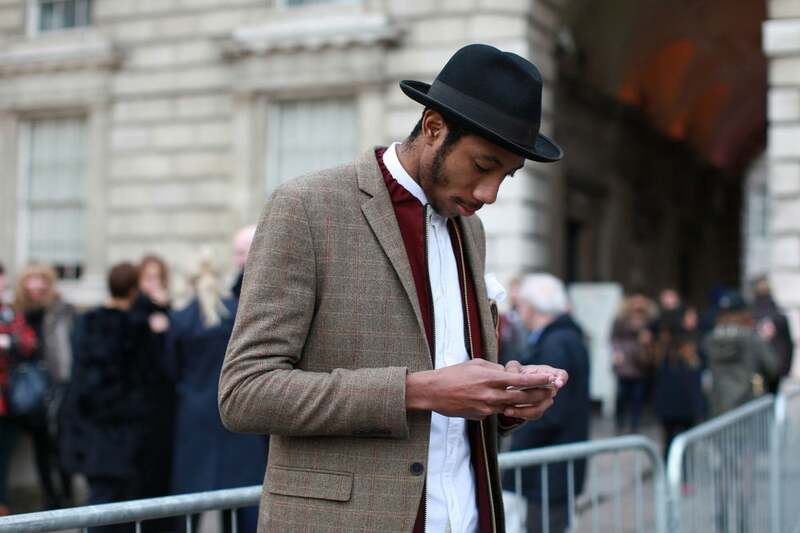 bonjour — our fluent shutterbugs were tasked to snap the best men’s street style at the major international Fashion Weeks: New York , London , Milan, and Paris . 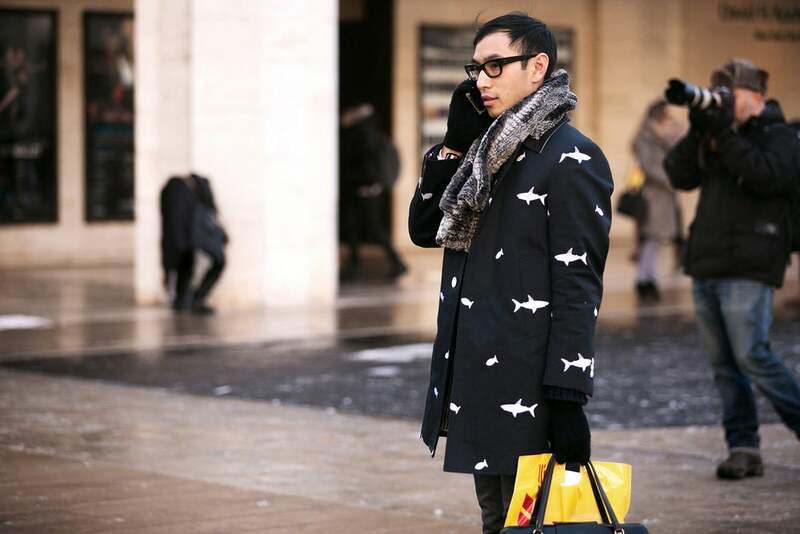 Amid the frenzy of the fall ’13 shows, we managed to play stalkerazzi to editors, bloggers, and photographers alike to see what’s good when it comes to this year’s getups. 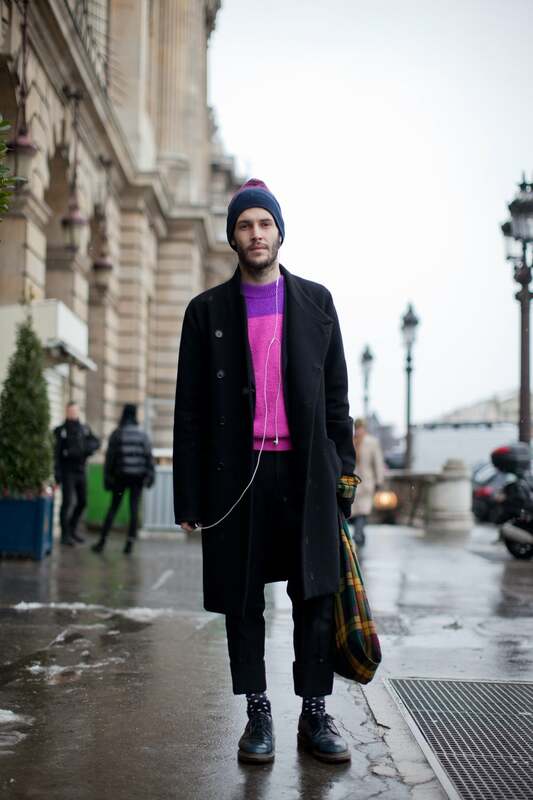 Along the way, we discovered that pink beanies top the list of most ubiquitous trend. We’re serious. 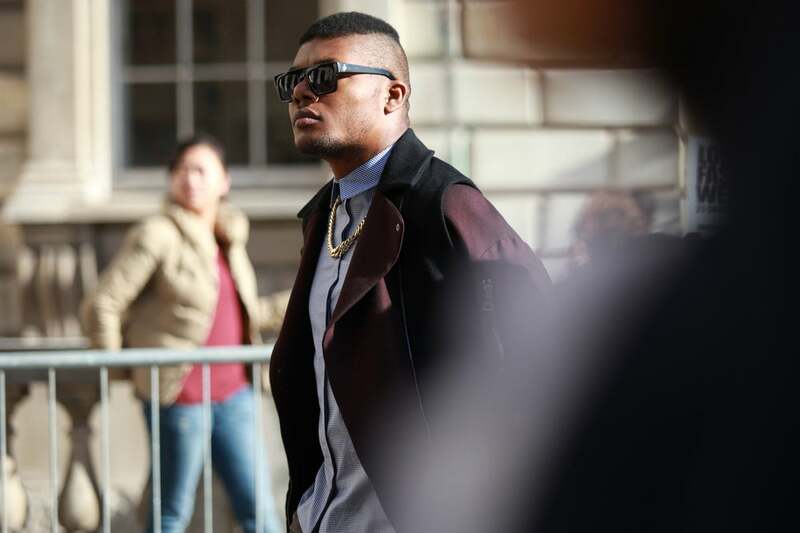 Peep our slideshow of 40 of the most stylish guys of Fashion Month for all the folios, headgear, and cuffed pants you’ll ever need. 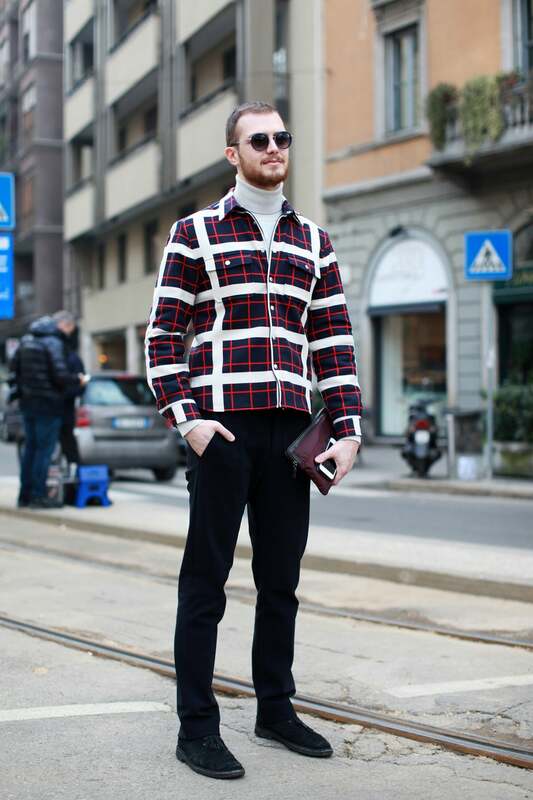 Even if some of the looks are too fashion-forward for you, we think you’ll appreciate these lads’ ballsy approach to outfit-planning. That’s not to say you have to go buy a pink topper now. 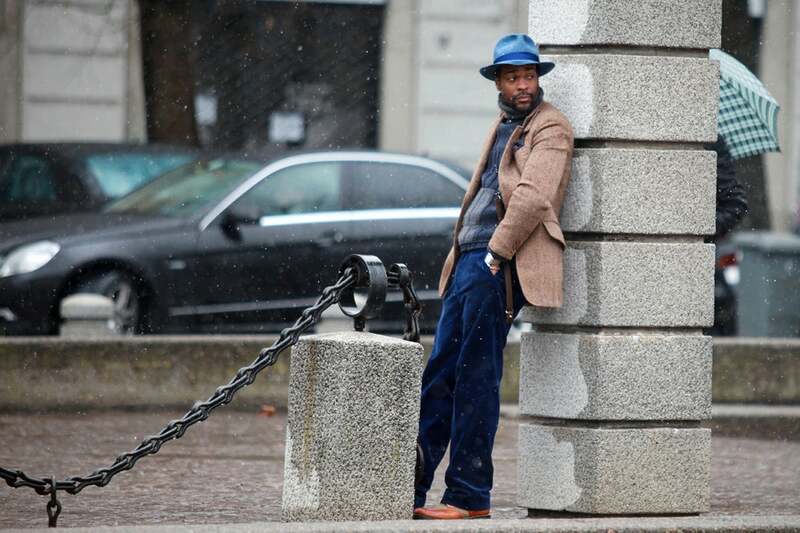 Gianni Fontana mixes tough with sweet. 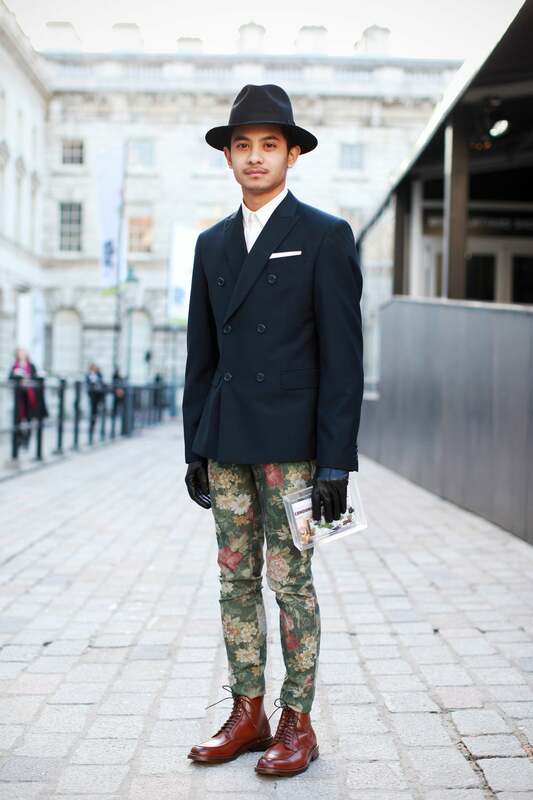 London’s wrought-iron fences are meant for the casual lean pose. 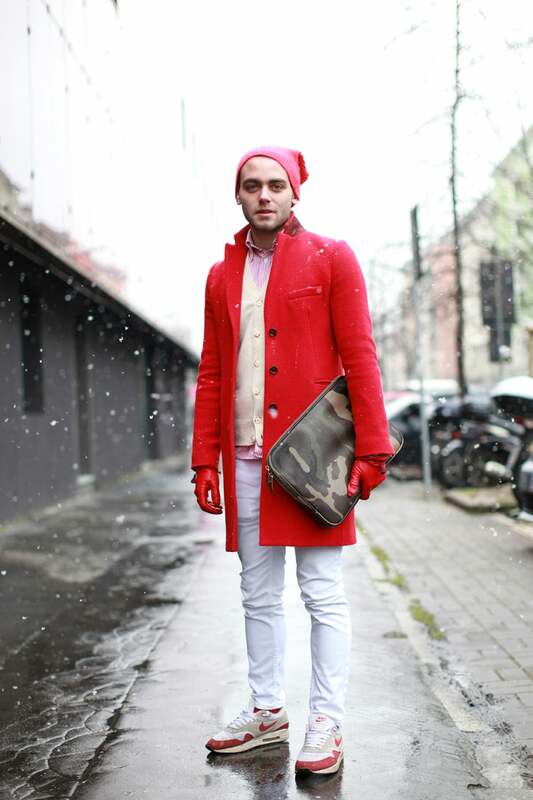 Brazilian It editor Luigi Tadini rocks the military glam look. 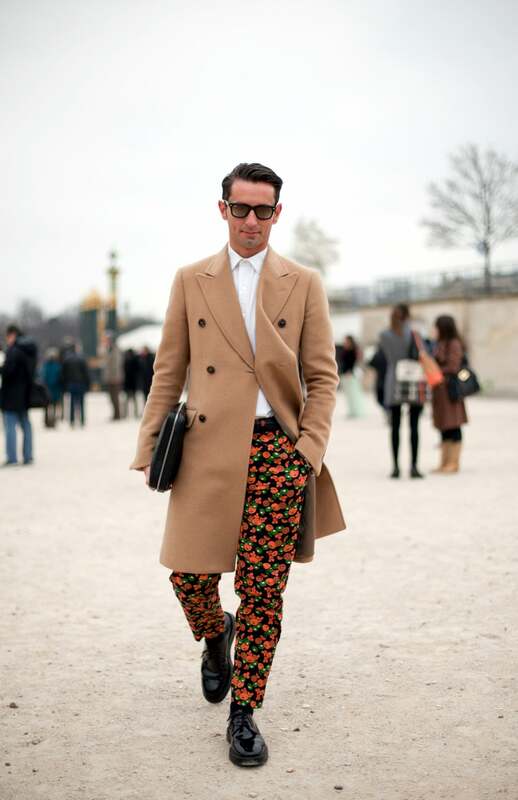 We’re glad to see floral pants aren’t just for chicks. 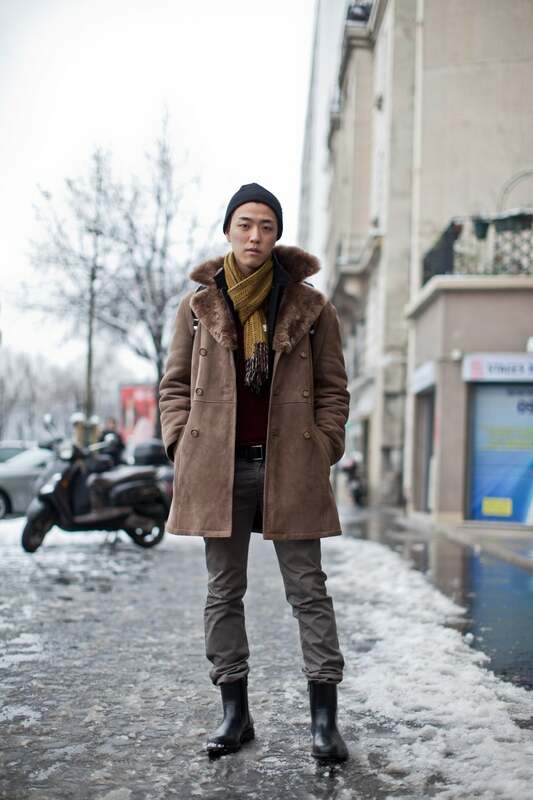 Real men wear pink in Paris. 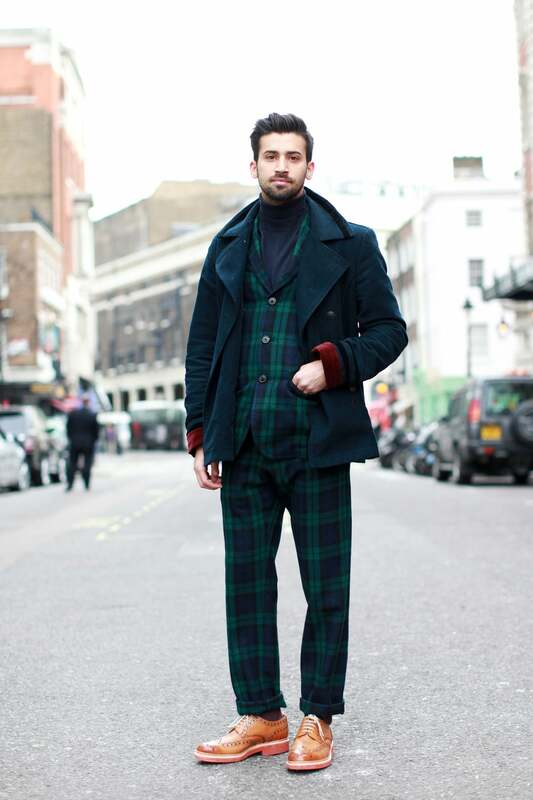 Londoner dandies can sport tartan like no other. 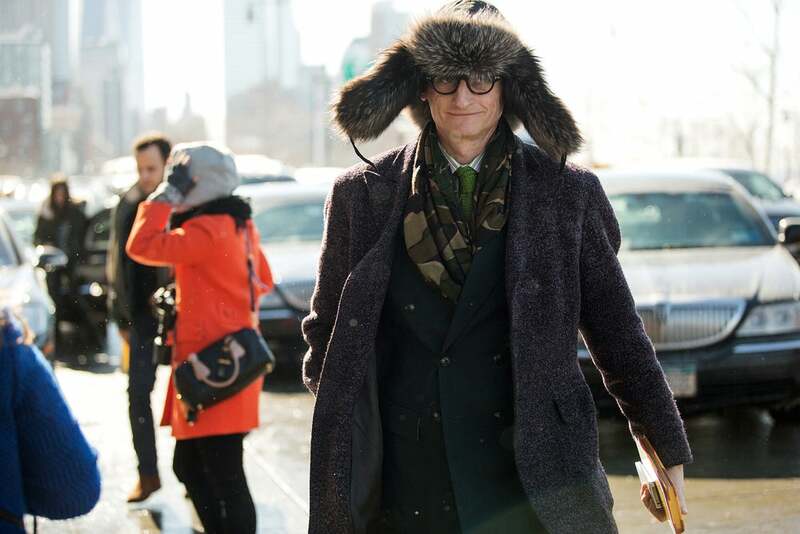 Hamish Bowles puts his unique twist on the trapper hat. 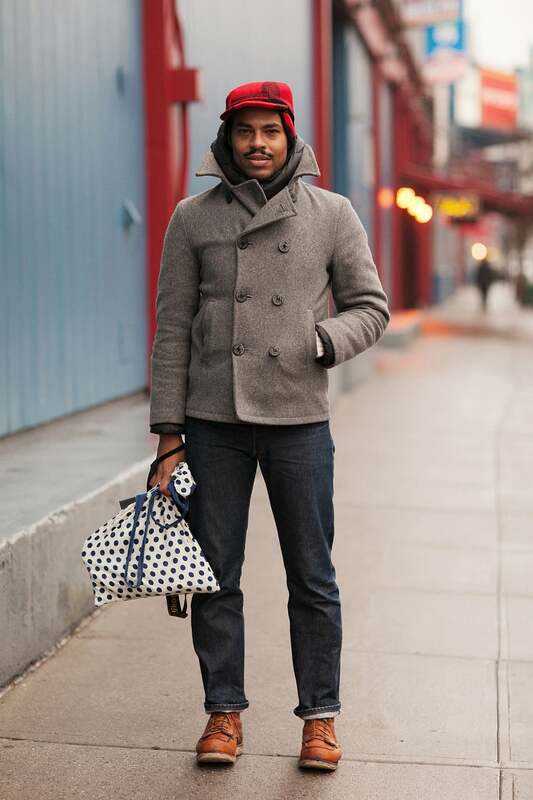 When in doubt, nothing’s handier than a sack. 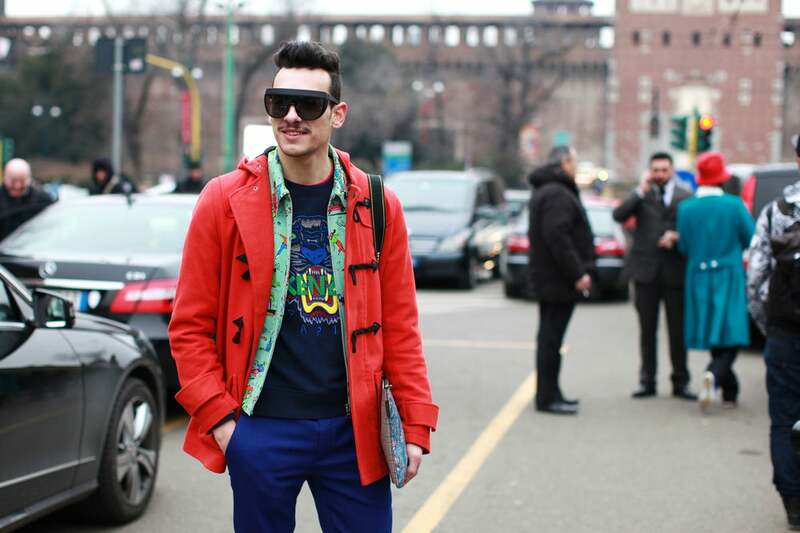 An oversized scarf and orange-lensed sunnies cheer up the drizzle in Milan. 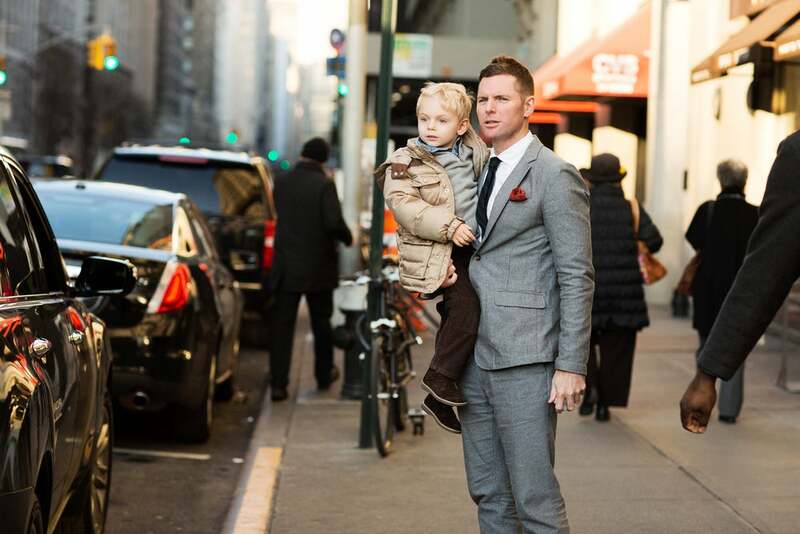 A future potential husband for Suri Cruise. 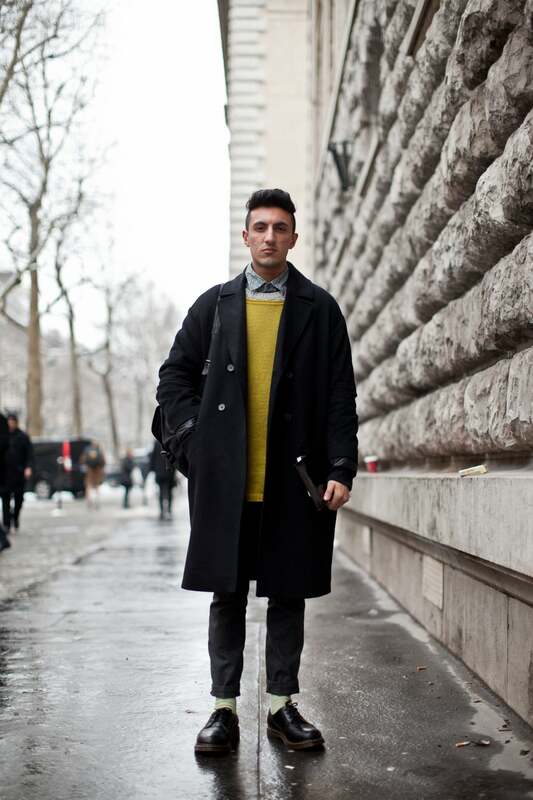 Fashion Week rule #1: Always tuck your pants into your wellies. 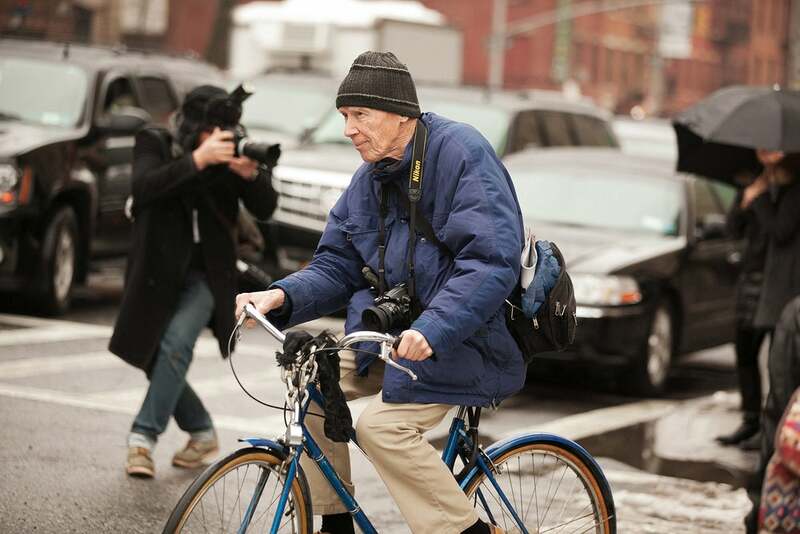 Bill Cunningham makes a bike so badass. 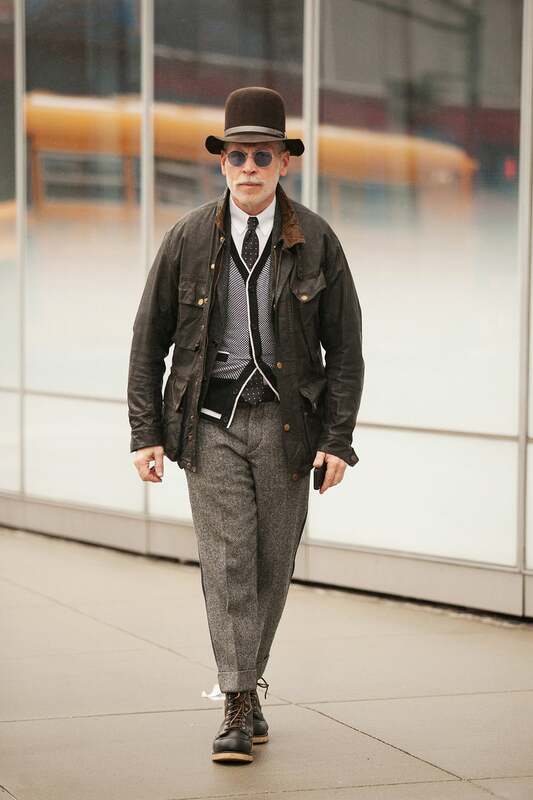 Nick Wooster color coordinates at Lincoln Center. Geriatric shades are making a comeback. 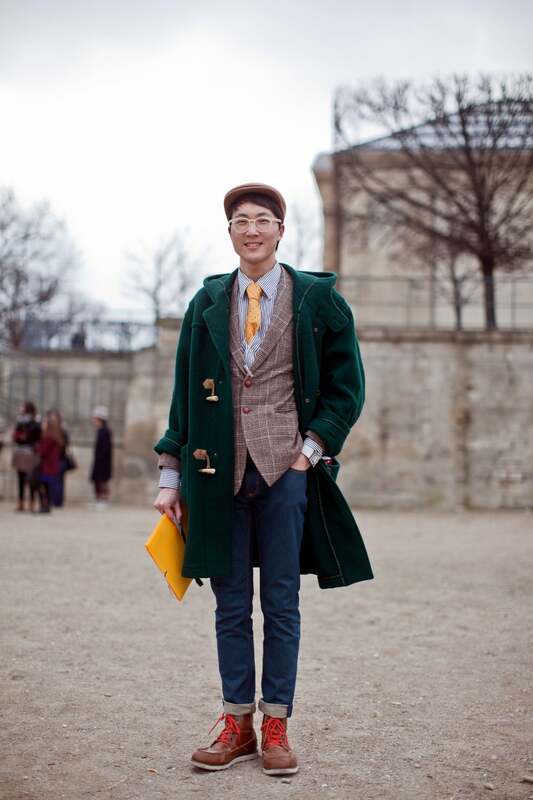 Accentuate your tweed with a pop of color, says Anthony Amadeo. Clearly, Niels Oostenbrink & Linda Tol chatted wardrobes in the morning. 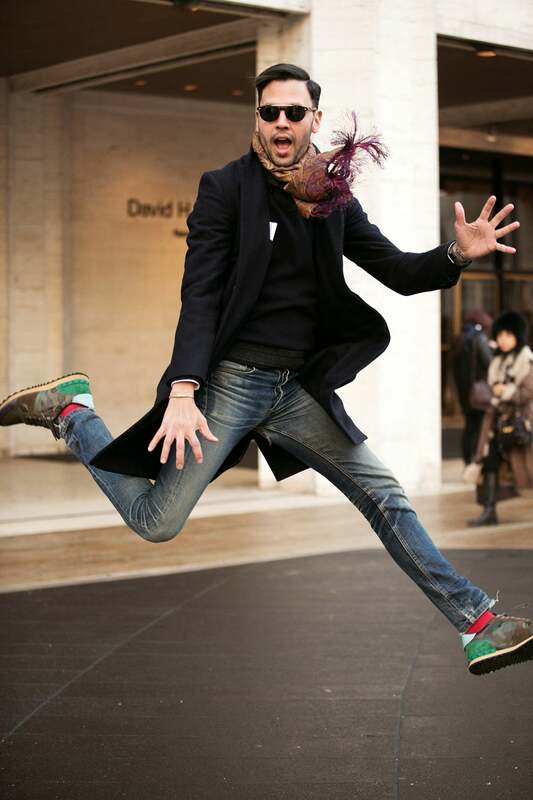 A lil’ snow never stopped Angelo Flaccavento from getting into the Palm Beach spirit. Buttoned-up collar? Check. Cropped pants? Check. 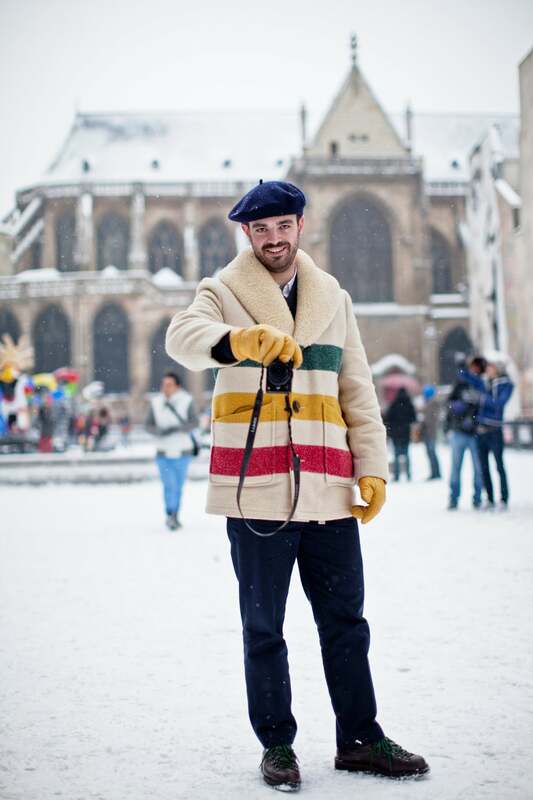 Heavy-duty bright sweater? Check, check, check. Trends, meet your maker. Our insanely intrepid photog Mark Iantosca — what would we do without him?! Matching your folio to your touk is practically a must these days. But don’t match them tooclosely — you don’t want to look like you’re trying. Cue the Jaws theme song. 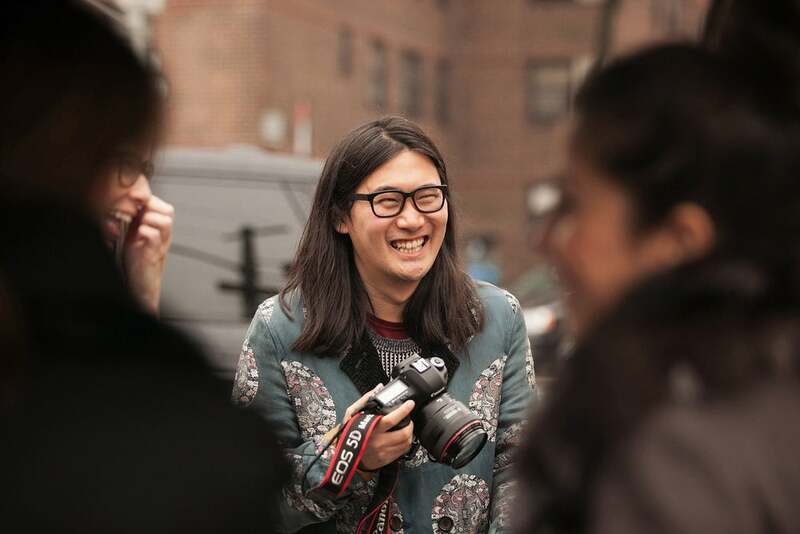 Phil Oh’s grin is infectious. You’re smiling right now, yeah? 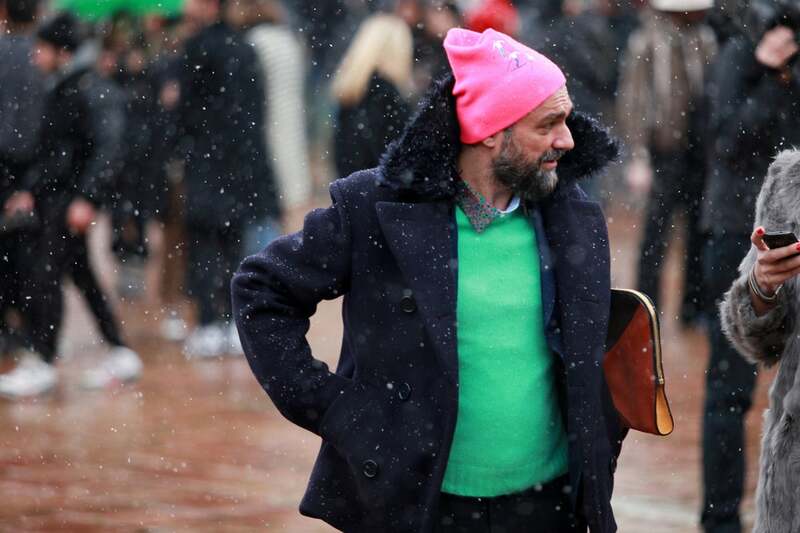 Wait, another pink beanie? 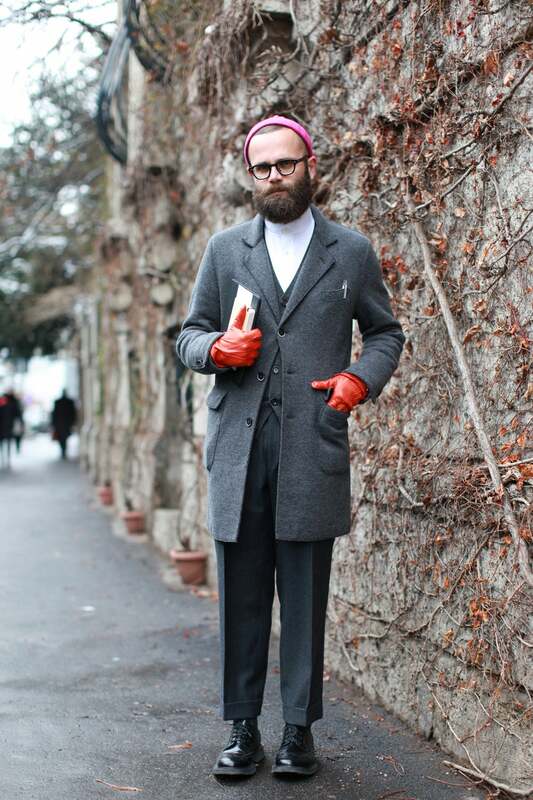 Ramaz Tuayv gets rosy — and oh, those red gloves! 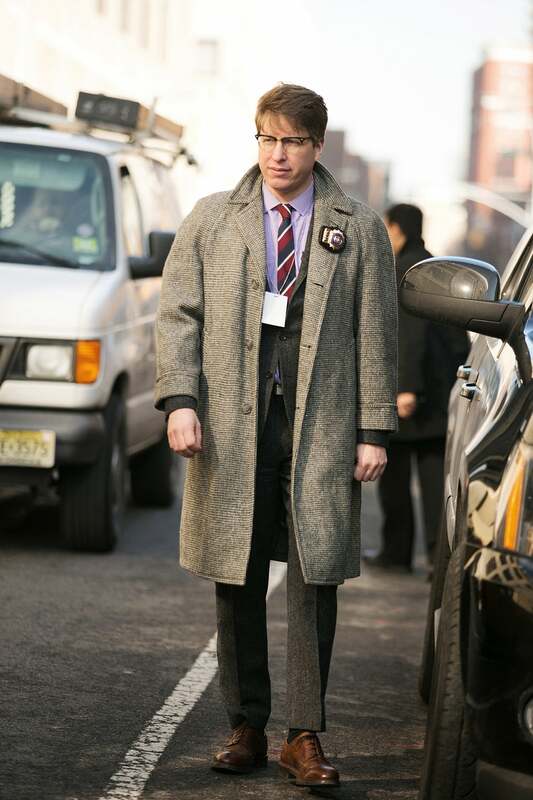 Some dont-mess-with-me bling is de rigueur for Fashion Week swagger. 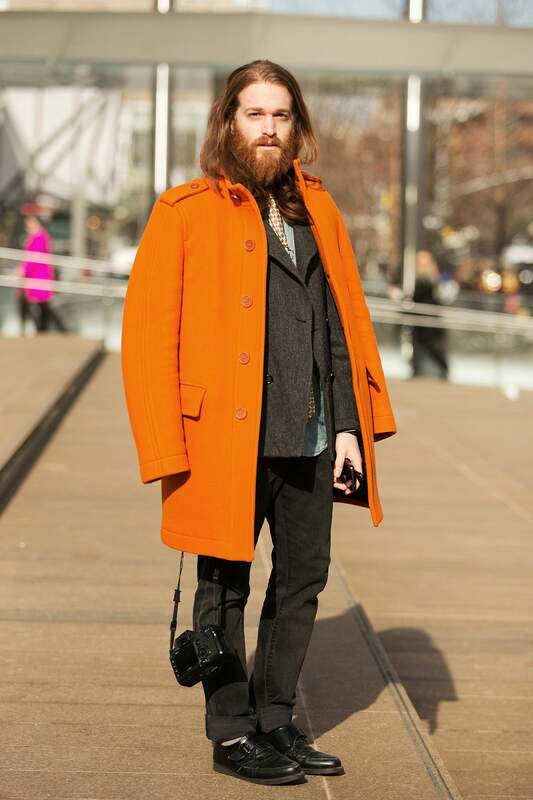 Trust Bryan Boy to bring out the big fur. 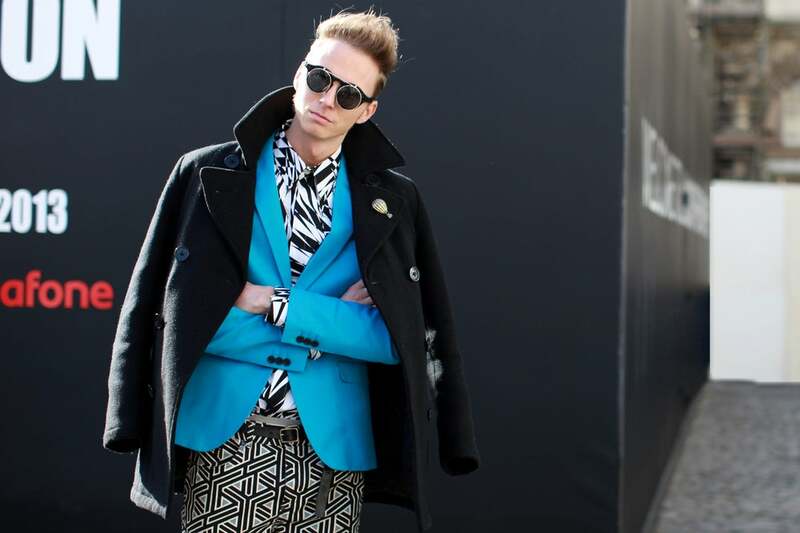 Niels Oostenbrink continues the bright topper trend. Clearly, shyness is not his problem. 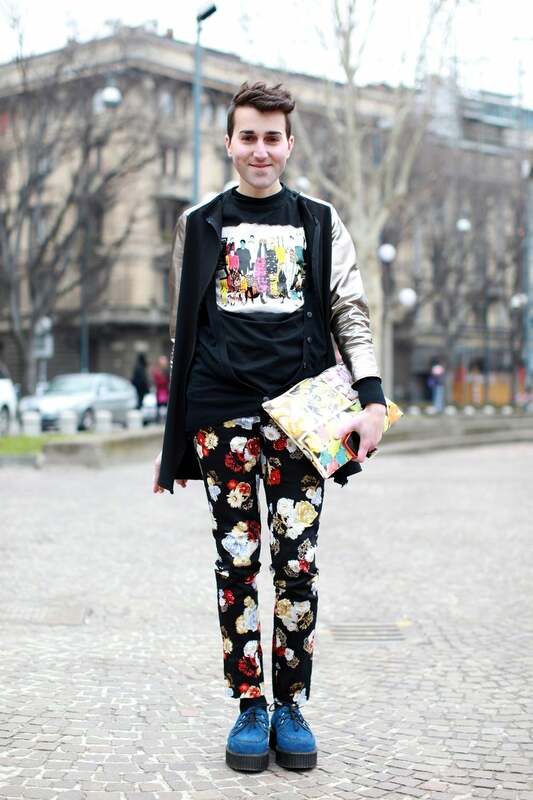 Print clashing, we found your master. Suave, James Suave. 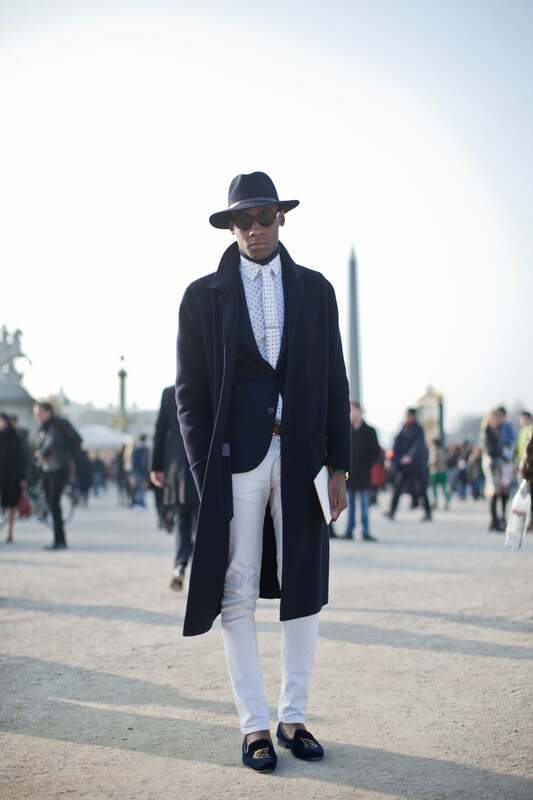 White jeans at the Tuileries is just so baller. 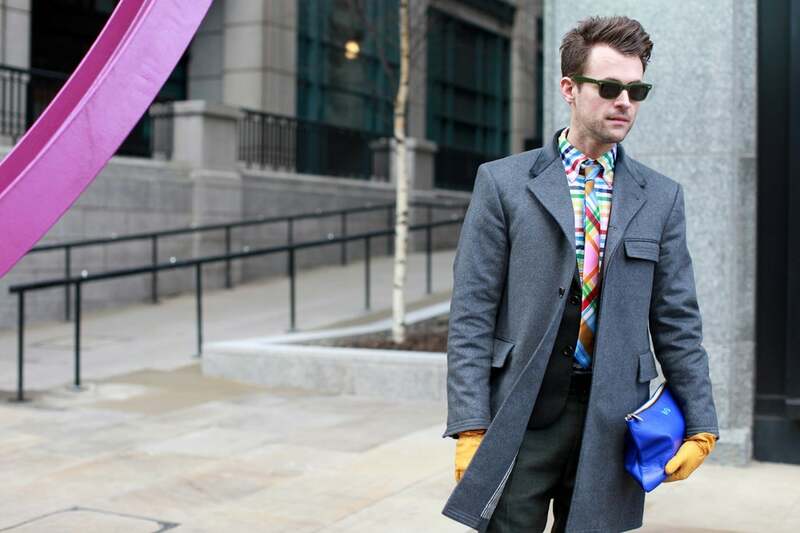 Brad Goreski gets on board with Rebecca Minkoff’s initial clutch. 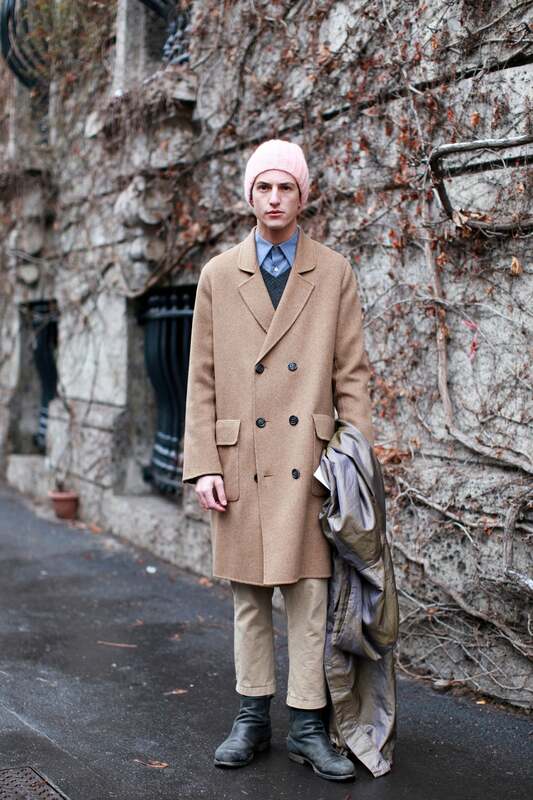 Simone Marchetti pares down the flower-power with a classic camel coat. Pink beanie patrol, round 7,875. 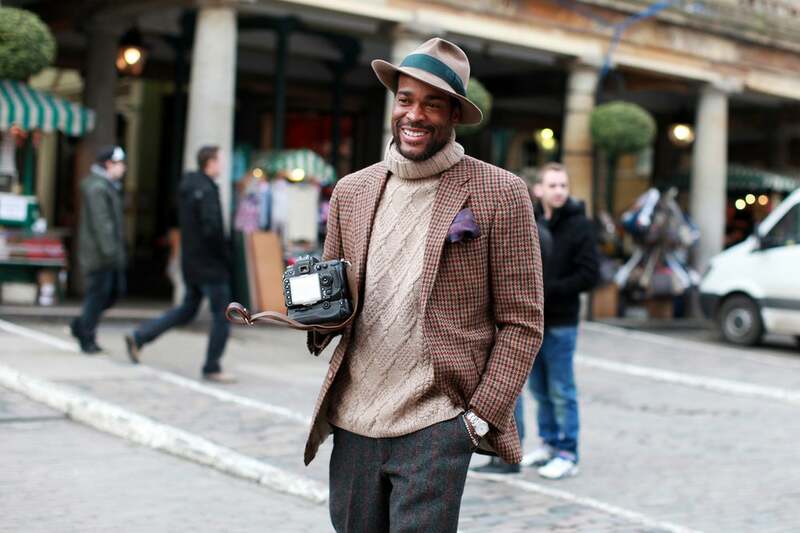 It’s all about the chunky turtlenecks. And a giant camera, of course. 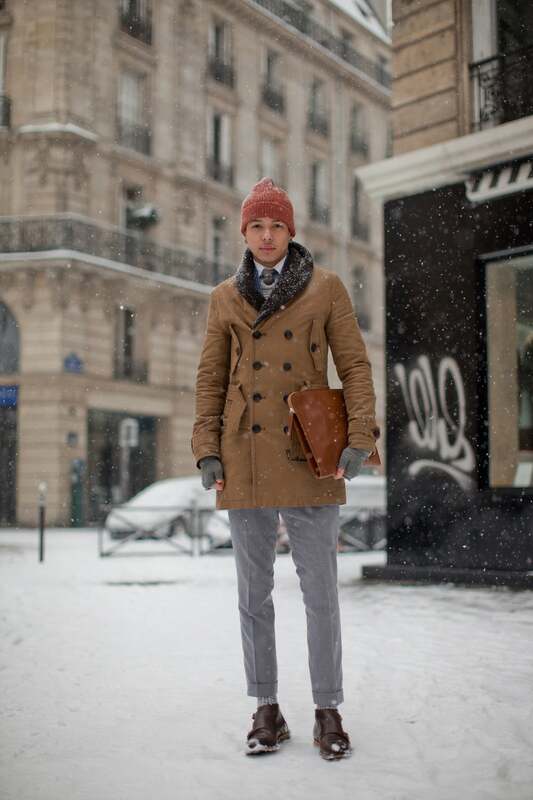 Team up your folio with your tie to really make a toggle coat/hiking boot combo pop. 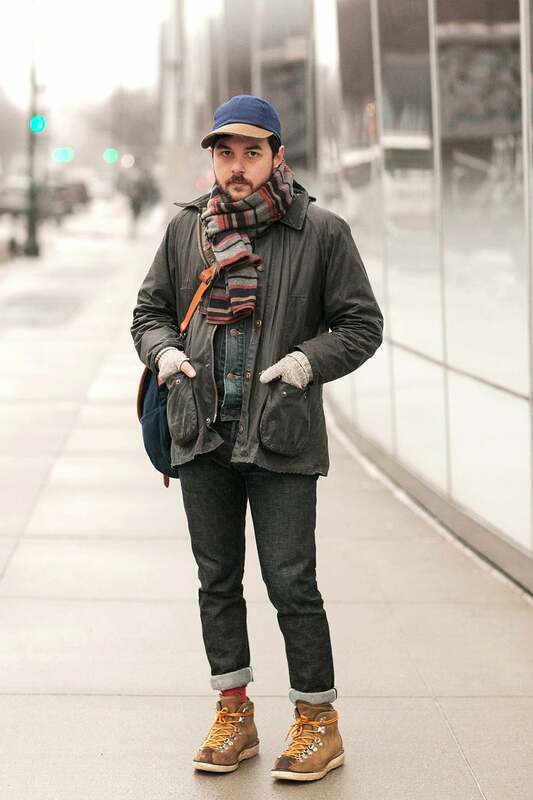 Okay, the fedora-bowler hybrid really iseverywhere. Steve Rojas is never one to sit still.